Get a gorgeous new look with our latest range of tragus studs! 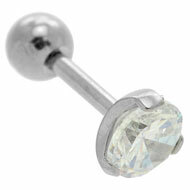 We are expending our range with stylish jewelled silver studs that really stand out. Whether you’ve had your tragus piercing for a week or a decade, these new tragus studs are a fabulous way to show it off. These jewelled tragus studs are simple but very stylish. They come in a great choice of jewel colours and feature large jewels that really make a statement. They catch the light beautifully for glamorous sparkle and gorgeous style. 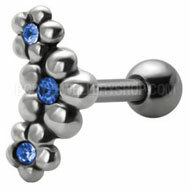 This style of tragus stud is made of high quality 316L surgical steel, so they are very comfortable to wear. And because they are just £2.95, you can afford to treat yourself to a little sparkle. 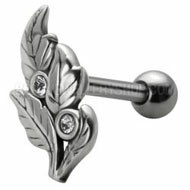 If you prefer a more elegant look you’ll love our new silver leaves tragus studs. These studs come in two styles, as you can see below. They feature solid silver leaves set with jewels and come in clear, blue, green, pink and red. 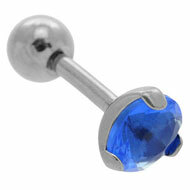 The bar and threaded ball is 316L surgical steel. I have to say that these are my new favourite tragus studs. 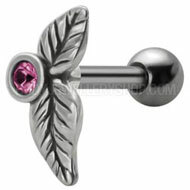 They just look so pretty and so different to usual piercing jewellery. You could also wear these studs in other ear piercings and they cost just £3.95. This entry was posted in Ear Piercings, Ear Studs and Earrings, Surgical Steel Body Jewellery and tagged Tragus Bars, Tragus Jewellery, Tragus Piercing Bars, Tragus Piercing Jewellery, Tragus Piercing Studs, Tragus Piercings, Tragus Studs on March 2, 2012 by Piercing Guru. 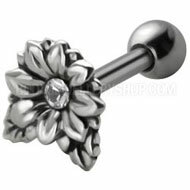 Get a sweet new look for spring with these pieces of cute daisy piercing jewellery. The UK has only had a few sunny spring days but we’re already in the mood for spring fashion here at BJS. 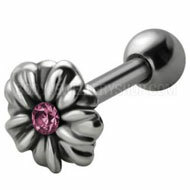 These pieces are a great way to inject a little spring colour into your look and treat your piercings to something new. We have a huge selection of fun piercing jewellery in the online shop but here are some of my favourite daisy motif items to give you a head start. Tragus piercings are discrete but they frame your face, so a new piece of tragus jewellery is the perfect way to update your look. 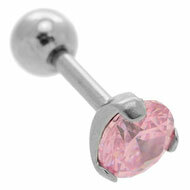 These cute tragus feature sparkly jewels and come in a range of shapes to suit your taste and the shape of your tragus. Whether you prefer jewelled dangles, girly pink or chic silver, our daisy belly piercing bars are a gorgeous addition to your style. These cute belly piercing jewellery bars all feature high quality surgical steel stems, with sterling silver, pearl and enamel charms. This entry was posted in Belly (Navel) Piercings, Ear Piercings, Ear Studs and Earrings, Navel Bananabells and tagged Belly Piercing Bar, Belly Piercing Bars, Belly Piercing Jewellery, Tragus Piercing Bars, Tragus Piercing Jewellery, Tragus Piercing Studs, Tragus Piercings, Tragus Studs on February 7, 2012 by Piercing Guru.